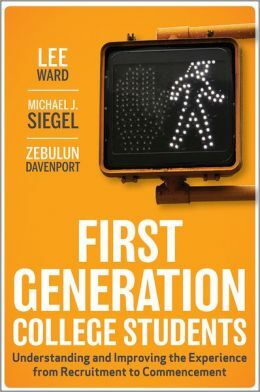 I recently finished reading two books about First Generation college students (The First Generation Student Experience: Implications for Campus Practice, and Strategies for Improving Persistence and Success by Jeff Davis and First-Generation College Students: Understanding and Improving the Experience from Recruitment to Commencement by Lee Ward, Michael Siegel, and Zebulun Davenport). Each book was a fairly quick read, and both have been on my mind since completing them. What was quite clear to me from both books (Davis’s book contained more personal narratives, and Ward et al.’s book discussed more institutional strategy) is that what is known about first generation students is that they are hard workers. 2. First generation students are conscious of the opportunity they are receiving. This is not necessarily how either of the books discussed first generation students approach to their experiences. Instead, they discussed the “imposter phenomenon” and how first generation students are constantly questioning if they should be in college. I chose to re-frame it to highlight the awareness they have of the opportunity they are experiencing (which does include if they are deserving of it–my goal isn’t to leave that out) because in doing I hope to draw attention to the approach many non-first generation students take to their experience, which is more of a taken-for-grantedness. 3. 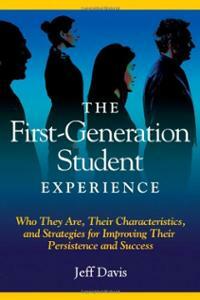 There is no common definition of what it means to be a first generation student. Davis’s book discusses how this is a problem, and Ward et al.’s book selected a definition and used it throughout. I, however, think that there not being a common definition is an opportunity for first generation students to identify for themselves if this is an identity they have and what it means to them. This entry was posted in Uncategorized and tagged first generation, first generation college student, generation students, higher education, student affairs, student affairs practitioners, student affairs professionals. Bookmark the permalink.